My design philosophy remains constant, to listen and take cues from my clients that provide me with the foundation to marry aesthetics, function, comfort, and style. My journey of 30 plus years has allowed me to showcase my creations. I am committed to helping you discover your style. I want my signature to be a living space that is an expression of you. Feel free to reach out to us, we would love to hear from you! My design philosophy remain constant: to listen and take cues that will provide the foundation to marry aesthetics, function, comfort and style. 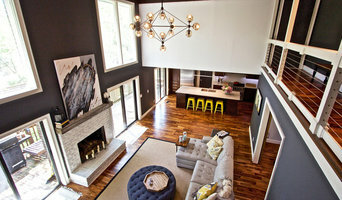 South Carolina's Innovative Interior Designer - 6x Best of Houzz! Residential Design for fabulous and soon to be fabulous homes. For the past 25 years we're created savory solutions for Kitchens & other rooms working with homeowners, contractors and designers. Since 1980, I've designed and built hundreds of gorgeous custom made kitchens & bathrooms through Kitchens By Design, Inc. Our clients have loved our top-quality products, professional design & craftsmanship and extraordinary service. Kim Rayburn is a renowned interior designer based in Charleston, South Carolina. A passionate worker, artist and designer, Kim is always seeking out the next trend before it hits mainstream. Shoshanna Richek, an organizational designer, loves to work with people, especially when she can serve as the problem solver. She is passionate about her work and works tirelessly to offer exceptional service and value. Her background is quite diverse from hospitality management to owning and operating a marketing firm for many years. Shoshanna brings her high standards of business operations, holistic life-style, open-mind and creativity to your home to help you create your space, just the way you want it. Her genuine interest in your satisfaction is evident from the first phone call to an ongoing relationship. KitchensNClosets of Charleston, offers full service design and sales for kitchens, closets, outdoor kitchens and ShelfGenie design and sales plans. We offer Indoor Cabinetry Design & Sales: Kitchen, Pantry, Laundry Room, Mud Room, Bathroom, Office including Window Seats, Closet Design and Sales plus ShelfGenie Design and Sales: Retrofit existing cabinetry with Glideout solutions for better accessibility and functionality. We’re a design-forward casework fabricator that designs, builds and installs custom cabinetry in the greater Charleston area. Give us a call to collaborate with our design specialists. ASignature Kitchens & Baths of Charleston, Inc. Founded by husband and wife team, James R. McLain, CKD and Linda H. McLain, CKD, Signature Kitchens & Baths of Charleston, Inc. has serviced the South Carolina Low Country since 1977, evolving into a premier full-service design firm for custom cabinetry and upscale appliances. The firm's 7,200 SF showroom showcases cabinetry and appliances in full room environments for areas throughout the home. Featured in numerous national and local magazines including BH&G Beautiful Kitchens, Kasmar Designer Kitchens, Coastal Living, BH&G Beautiful Homes, Builder Magazine, Kitchen & Bath Ideas, Great American Kitchen Collections, The Living Kitchen, Traditional Homes, Charleston Style & Design, Charleston Home+ Design, and Charleston Living. We are a locally owned, family operated, cabinet company specializing in the design and installation of custom cabinetry and countertops for your home or project. Founded by husband and wife team, Signature Kitchens & Baths of Charleston, Inc. has serviced the Greater Charleston Area since 1977. Visit their two showrooms in Charleston. 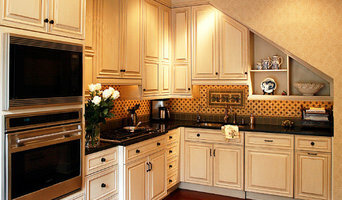 Distinctive Designs in Cabinetry, LLC located in Beaufort, SC opened its doors in 2000. Owner Pat Betz has been designing kitchens, baths and other living spaces in the Lowcountry for almost twenty years. Helping you define your vision and realize your dream is DDC's specialty. DDC offers design only services as well as the ability to work with the client from conception to completion of the project with a variety of custom and semi-custom cabinetry to meet a broad range of needs. Whether building a new home or remodeling, we follow through from design to completion and pride ourselves in creating happy clients. We invite you to visit our website to fully appreciate our innovative designs and attention to detail. A residential and commercial interior design firm located on Daniel Island, just outside of Charleston, SC. We are new construction selections experts and specialize in remodeling and renovations. Kitchen and Bath Design Firm specializing in cabinet design for new construction and those who are remodeling. Best Of Houzz Award Winner 2015-2018! At Haute Design, we believe in creating classic, timeless environments that not only enhance one's lifestyle but also increase the value and functionality of the space itself. We Design, Manufacture & Install custom cabinetry for all rooms of your home. We do not sell cabinet lines that we have to fit you into. We execute a given design, or design from scratch, or a blend of the two, your choice. We have found that most of our clients enjoy being able to be involved in the process to help create a space that is truly theirs, not just what someone else thinks they should have. We listen to our clients and help bring those ideas to life for our clients! We manufacture your kitchen, bathroom, Murphy Wall-bed, Entertainment Center, Bar, Closet etc. for you, to your specifications. Then install it, ensuring the smoothest project possible. Stein Renovation and Design Group, LLC is an award winning home Design-Build Company specializing in Remodeling and Renovations. Established in Charleston, SC, we are your one-stop-shop. Check us out! Kitchen Design Center, a Beaufort, South Carolina kitchen and bath design showroom and home remodeling company translates your lifestyle, your taste and your sense of style into the functional home environment you have always wanted. Whether designing your new kitchen, bath, library, media room or laundry room, our design team, led by Certified Kitchen Designer Barry Cutsler, will create a beautiful extension of your lifestyle! Barry Cutsler, CKD, has been designing the finest cabinetry for over 39 years. His name is synonymous with service and quality in the cabinet industry. Barry Cutsler’s family practiced woodworking in Delaware for three generations. Barry is knowledgeable in all areas of cabinetry whether it is kitchens, baths, libraries, home computer offices, or media rooms. To his clients Barry offers complete consultation and design services for both new home construction and remodeling projects. Through many years of business, Barry brings experience, tradition, innovation, integrity, high quality, function, and partnership to every project. The initials after Barry’s name signify Certified Kitchen Designer. The title CKD is a certification administered by the National Kitchen & Bath Association (NKBA). It takes years of training and expertise to earn those coveted initials. Requirements go far beyond the demonstration of space planning ability and design talent. A successful design also requires thorough knowledge of construction, plumbing, mechanical and electrical systems. It requires the ability to write specifications and draw plans that plumbers, electricians and cabinet installers can interpret. It means being familiar with local building codes, safety and environmental regulations, not to mention all those new products - everything from high-tech shower systems to cabinet finishes to door knobs. Jill studied at the New York School of Interior Design and has worked with top designers over the last decade, most notably Tom Scheerer, before opening her own design studio in 2012. After a decade in New York City, Jill now lives in Charleston, SC with her husband and rescue dog and cat. She has designed homes in a variety of locations including the beaches of New England and Florida, and her home states of Virginia & North Carolina. Jill believes a home should tell the story of its occupants. Combining the best of the past with modern design, comfort and ease, she creates gracious and warm living spaces that suit the client’s needs and tastes. She allows the location, style and history of the home to inspire and guide the rest of the narrative. Her emphasis on furniture planning, color and texture over the ornate or purely decorative, results in rooms designed for living. Always a student of design, she constantly seeks new inspiration at museums, in travel, fashion and architecture. Charleston Cabinets Inc, has been in business in the Charleston area since 1993. We offer kitchen, entertainment center, mudroom and bathroom cabinets, and a wide array of counter top selections. Charleston Cabinets Inc. offers excellent customer service, and assist with the design process from start to finish. Certified Kraftmaid and Marsh Furniture Company dealers. We work with new construction and remodels throughout the Charleston SC area. Come see our showroom or give us a call for more information. I provide knowledge and design ideas to create stunning yet functional kitchens and bathrooms using the most current trends and ideas. With 13+ years of kitchen and bath design experience I can provide you with design ideas and execution. I currently reside at Lowe's Home Improvement in North Mt. Pleasant, SC. Come visit me at the store or email me at becky.lambert@store.lowes.com to set up a free design consultation. Achieving flawlessly functional and attractive kitchen and bath design in Mt. Pleasant, SC requires a professional who specializes in these spaces. Not only do these rooms see the most action of the house, but they require the most planning and attention to detail. When designing them, a bath and kitchen designer must keep a strong focus on the homeowner's wants and needs while also considering things like potential resale value. Read the tips below to learn how to choose the perfect Mount Pleasant kitchen and bathroom design professional for your home project. What does a Mount Pleasant kitchen designer or bathroom designer do? A kitchen and bath design professional in Mt. Pleasant, SC knows to take all of these crucial points into consideration and can help plan the layout, materials and overall look and feel of either of these rooms in your home. Kitchen designers, as well as bathroom designers, are constantly staying on top of trends in the ever-changing industry. The designer also knows the best layout for your room, and can configure the layout for optimal functionality and utilization of the space. In the kitchen the refrigerator, stove and sink should be laid out in relation to one another, and it should be seamless and easy to move from one to the other. A Mount Pleasant kitchen and bath designer will know how to work with a contractor and architect to plan the flow of the room to work best for your needs. Here are some related professionals and vendors to complement the work of kitchen & bath designers: Kitchen & Bath Fixtures, Appliances, Tile, Stone & Countertops, Cabinets & Cabinetry, Woodworkers & Carpenters. Before you talk to bath and kitchen designers in Mt. Pleasant, SC, consider how you will use the room. For your bathroom, is it necessary to have a bathtub for bathing kids or pets, or would a shower suffice? Perhaps all you need is a half bath for downstairs or a smaller guest bath for occasional use. Similarly, for kitchen renovations consider your cooking habits. Do you eat out every night but need a space to entertain in? If so, a smaller kitchen might be fine for you, with a space devoted to wine storage or a bar, whereas others might prefer a bigger stove or extra cabinets. When interviewing Mount Pleasant kitchen and bath designers, make sure to share these habits so they can best fit the room to suit your needs. Find a Mount Pleasant kitchen designer or bathroom designer on Houzz. Narrow your search in the Professionals section of the website to Mt. Pleasant, SC kitchen and bath designers. You can also look through photos in Mt. 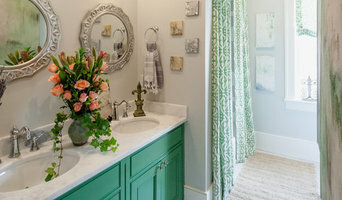 Pleasant, SC to find a kitchen or bathroom you like, then contact the professional who designed it.